Weekend recap video by VTP. Spring Fling at Quartz Mountain. 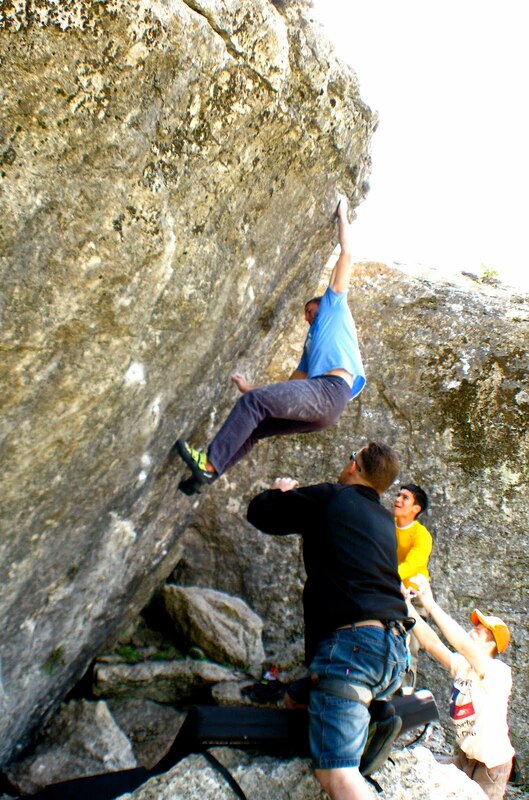 Check the forums at Wichita Mountains Climber’s Coalition for more info. Limestoner Climbing Competition at Reimer’s Ranch in Austin. Check the Central Texas Mountaineers for more info. Granite or Limestone? You decide. Its almost unknown outside of the Abilene area, but near Brownwood, Texas is a small lake with some quality bouldering. One problem in particular has been the subject of attempts for several years. It is an tall overhanging block with small crimps and a horrible landing. This past week, Scott Chapman of Camp Eagle and Eric Gentry of AbileneClimbers made the first and second ascents of Jack in the Box. The following video is the second ascent. Visit AbileneClimbers for more photos and a recap of the send.